We all have our biases. Mine is Checkinn99. I like the place; I like the proprietor, Chris Catto-Smith. I like the clientele for the most part. Knock yourself out those of you who like to poke fun at Pinay bands, I like MOTH too, as artists and people. So I’m giving them plenty of blog ink as they head into their last weekend at their Sukhumvit location. 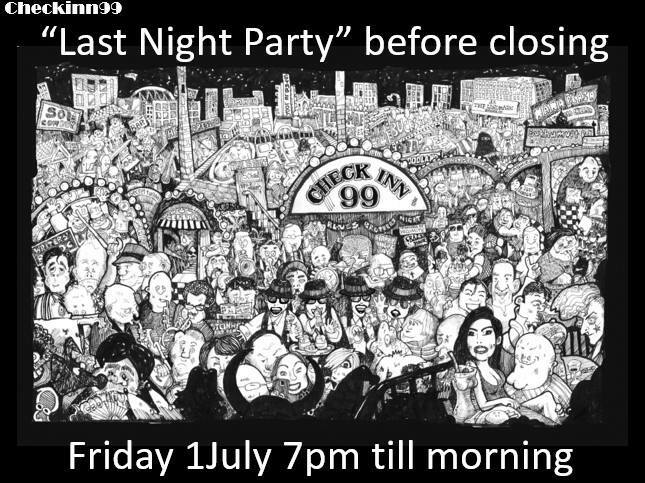 Tonight, Friday, July 1st is the last official night of trade at Checkinn99. 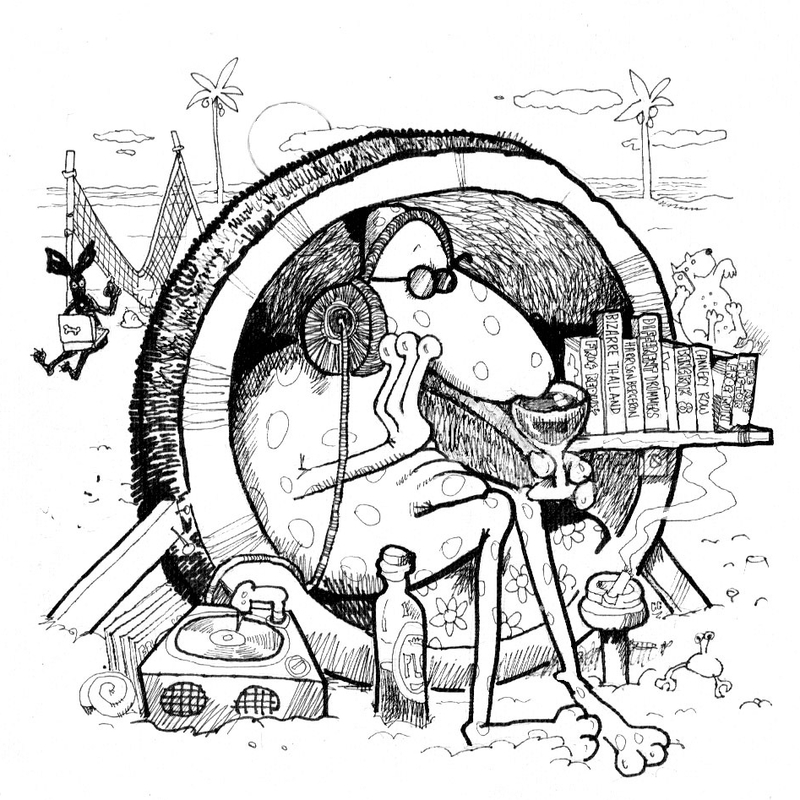 Get on down if you’re in the Zone. Another historic night in a 60 year epic tale. L to R Jim Algie author of the soon to be released book, “On the Night Joey Ramone Died: Tales of rock ‘n’ punk from Bangkok, New York, Cambodia and Norway.” James A. Newman, author of the Joe Dylan series the latest release being “Fun City Punch” and Thomas Hunt Locke, author of the Declan Power and Sam Collins series and soon to be released, The Beauty of Isaan based on the life of legendary Checkinn99 beauty, Mama Noi, who passed away in 2016. Thom Locke has written a poem about his feelings about losses during the past year, when I asked him for a quote. Thom’s a man I want on my corner during good times and bad. He played a quintessential role in the birth of my book. He is a good author but more importantly I consider him a good friend. Let’s dispense with the sentimentality for now. 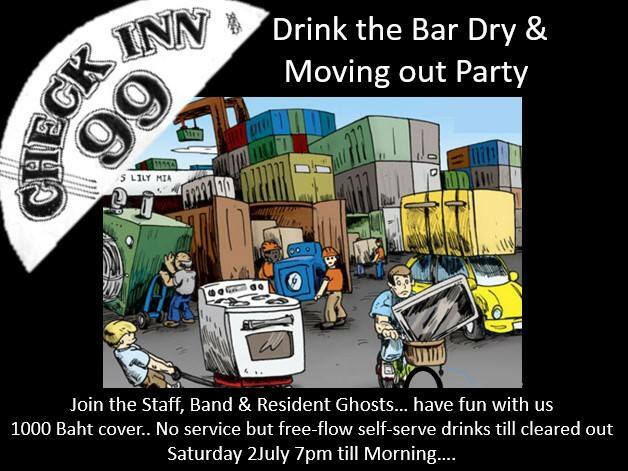 For tonight there is celebration and tomorrow night, Saturday, July 2nd, 2016 there is a Drink the Bar Dry and Moving Out Party at Checkinn99. Cover Charge is 1,000 Baht and a bargain. I’m going to end now and pour myself a glass of red wine in California. It beats crying in my beer. As my Cambodian comrade Christopher Minko says, “Onward we must.” Best wishes to Checkinn99 Family. Never forget the shock I got when Chris dropped the bomb on me telling they had to move from what I used to call the Time Portal (between soi 5 and 7). We all have our biases. Mine is Checkinn99. 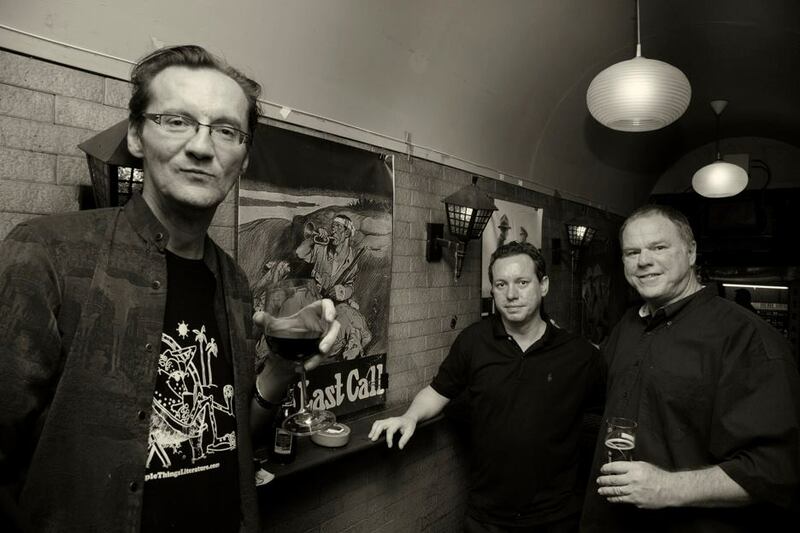 I like the place; I like the proprietor, Chris Catto-Smith. I like the clientele for the most part. Knock yourself out those of you who like to poke fun at Pinay bands, I like MOTH too, as artists and people. So I’m giving them plenty of blog ink as they head into their last weekend at their Sukhumvit location. Tonight, Friday, July 1st is the last official night of trade at Checkinn99. Get on down if you’re in the Zone. Another historic night in a 60 year epic tale. And Check out the special poem created by Thomas Hunt Locke to commemorate the occasion.